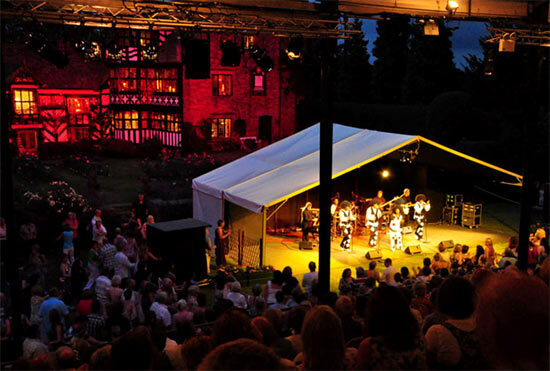 Ray Mears will be appearing at Gawsworth Hall’s Open Air Theatre this summer, to present An Evening with Ray Mears. This fantastic venue will play host to Ray’s talk on 7th August, for which tickets are now available. Britain’s best known Bushman, survival expert, and star of numerous TV series is back at Gawsworth, following his 2008 sell-out show. Once more he’ll be sharing his experiences from the world’s most extreme environments. Fore full details, please visit gawsworthhall.com or call the box office on 01260 223456. This entry was posted in Ray Mears on June 6, 2011 by Woodlore Team. Got my tickets! Really looking forward to it. How long will it be roughly? Also I am with Martin Dryden, a book signing would be great. So glad that the talk is in travelling distance. Booked already and looking forward to a great night. I’ve only seen him once before, at Llandudno for the Northern Wilderness talk. It was a great evening and he’s such an engaging speaker. One thing – could he do a book signing while he’s there. It’s the one missing thing from the other talk I saw. Will Ray be coming to Belfast this year? Hi Ciaran, no plans as of yet, but we’ll keep you posted if any more talks are announced. I never heard of Gawsworth but I would now be proud to call it my home, haha. Sounds great- come to the U.S. sometime!